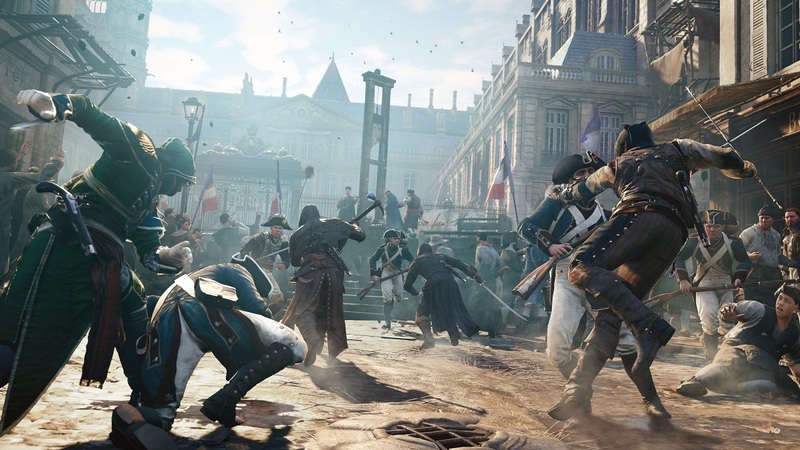 While it had a number of issues at launch, and even after, Assassin's Creed Unity was still a pretty fun co-op title. Getting a group of friends together to plot and execute a stealthy assassination (before it all inevitably turns into a Benny Hill skit) is the best way to enjoy that game. The latest Humble Bundle lets you get in on the assassination action with that and several other AC titles all for the low, low price of $15. In addition to Unity, coughing up $15 will net you the recent Assassin's Creed Chronicles titles that shifted to a platformer presentation instead of the usual third-person action, as well as the original Assassin's Creed, the far better Assassin's Creed II, the "so close, yet so far" but co-op friendly Assassin's Creed III, and the underrated (IMO) Assassin's Creed Liberation, which was a Vita exclusive title initially. Sadly, Assassin's Creed IV (my personal favorite because pirates) is missing from this, but that's still a lot of AC to get for that price. The Assassin's Creed Humble Bundle ends on Tuesday, January 17. Page created in 0.3073 seconds.